Click to jump to Subscription Page. Bonds. When there's fear in the marketplace, everybody runs to bonds. With some of the highest and most reliable income streams, bonds and their associated funds offer relative security in times of market turmoil. But what about in times of economic prosperity? 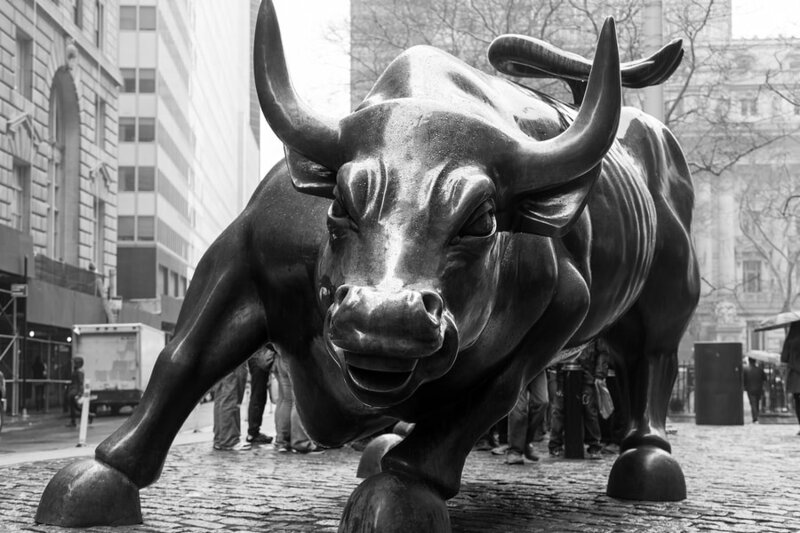 When the stock market is bullish, isn't the bond market a bear? 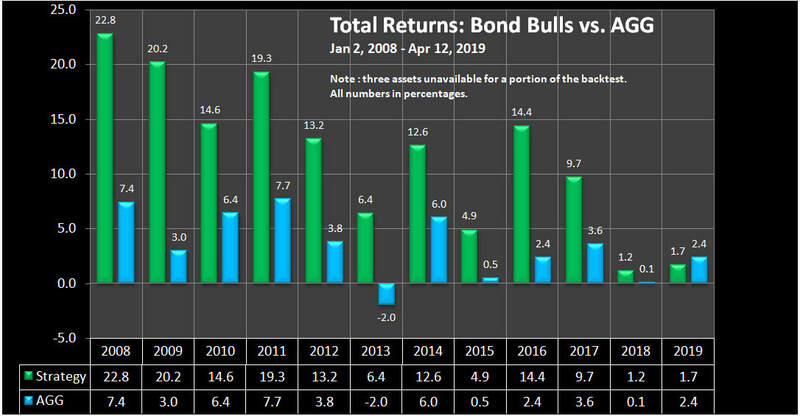 Shouldn't bonds be relegated to the portfolios of widows and orphans while serious investors chase returns through stocks? I don't think so. I believe there's always a bull market in bonds - if one knows where to look. From Treasuries to convertibles to high-yield junk, the fixed income market is diverse. Navigating that market can be just as daunting as picking your way through the equities universe. And sometimes, the turmoil mentioned above is actually in the bond market itself. Yes, broadly speaking, bonds are generally considered safer than stocks. But selection and timing are keys to maintaining that safety - while riding the bull through good economic times and bad. 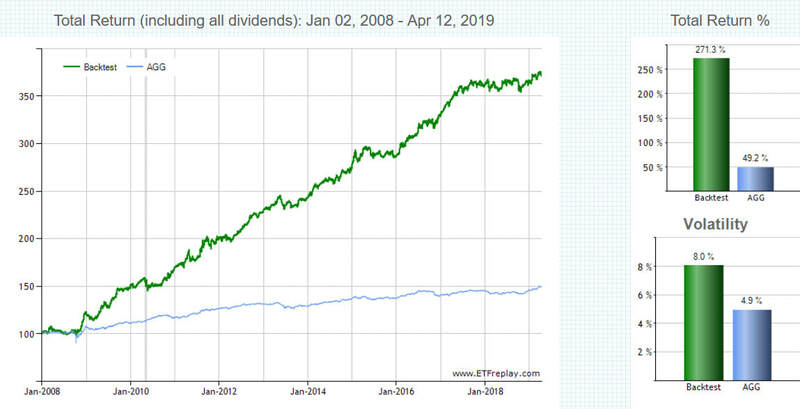 A simple strategy would be to buy AGG, the iShares Core U.S. Aggregate Bond ETF, and call it a day. While not exactly a firecracker (returning about 3.5% annually in the 11-year period ending December 31, 2018), it sure beats cash. In fact, AGG is the de facto default bond fund for millions of Americans. It's easy to buy, relatively safe, and mirrors a diversified bond index, the Barclays Capital U.S. Aggregate Bond Index. But 3.5% annually? Convertible Securities, which make up CWB, are bonds that can be converted into predetermined amounts of company stock at certain times during their life. Convertibles are hybrid securities with debt- and equity-like features. In theory, investors can benefit from the upside potential of an equity instrument as well as the certainty attached to the debt side of the equation. High Yield Bonds, which make up JNK, are also known as "junk bonds." They've been assigned a lower credit rating than investment-grade corporate bonds, Treasury bonds, and municipal bonds. Because of the higher risk of default, these bonds typically pay a higher yield than investment grade bonds. Sovereign Debt, which make up PCY, are bonds issued by national governments. In the case of emerging markets, sovereign debt is generally a riskier investment than debt that comes from developed countries. Treasury Bonds, which make up TLT, are sovereign debt instruments issued by the U.S. Treasury. Once a month the strategy determines, through a risk-adjusted momentum algorithm, which 2 of the 4 bond ETFs listed above have outperformed during the previous period. It buys those two funds using 80% of its portfolio. Should none of the 4 meet the performance criteria, that 80% reverts to the aggregate bond fund AGG, which is also the benchmark for this strategy. And the other 20% of the portfolio? That's a satellite hedge to help offset adverse price movements within the bond markets. Using a second momentum test, the hedge picks one outperforming ETF a month from a pool of the following asset classes: currencies, metals, mortgage-backed securities, mortgage REITs, and utilities. And it buys that fund. The next month, it's rinse and repeat. Because this is primarily a bond rotation trading strategy, volatility is less than half that of the S&P 500. Max drawdown is less than a fifth that index (max DD is even lower than AGG, the benchmark). And the Sharpe Ratio, a gauge of risk vs. return, is considerably higher than either AGG or the S&P 500 (higher is better, meaning less risk per return). And finally, positions are reevaluated every month so as not to get locked into a prolonged declining market for any one asset. All of that adds up to peace of mind, especially in times of market turmoil. So when there's panic in the marketplace and others are weeping and gnashing their teeth, I'm sleeping peacefully at night with Bond Bulls. And the beauty part? It's no slouch when it comes to returns. In fact, over the 11-year period from 2008 to 2018, it returned 263.8% compared to the 45.8% for the benchmark AGG. Note: while the strategy rotates out of higher-risk bond funds and into the relative safety of AGG in the event of a wholesale bond market downturn, nothing short of perpetually holding cash or cash ETFs will protect in the event of a flash crash or a sudden jolt to the bond market. That said, the pain from most market downturns (i.e. recessions, bursting bubbles, market corrections) can be mitigated by a strategy that rotates among bond funds, and can switch to safety within weeks. Before the market opens on the first trading day of the month, you'll receive an email newsletter detailing the same actionable buy/sell signals that I will use to trade the strategy in my portfolio. Subscribers also gain access to the Members Page, offering up more strategy details, month-to-month performance data, and an FAQ specific to the strategy. The Bond Bulls bond rotation strategy is $7.95 per month. Cancel at any time. Follow along and see how the strategy catches market moves to the upside, while protecting hard-earned portfolios against major downdrafts. First 2 months are FREE. Go to the subscription page to SIGN UP.